AMBER LOVE 23-DEC-2014 When meteorologist Patrick Crawford from KCEN-TV near Waco, Texas was shot December 17 at the TV station’s parking lot, I didn’t think there would be any reason to bring the story into a blog about comics but today I saw something relevant. 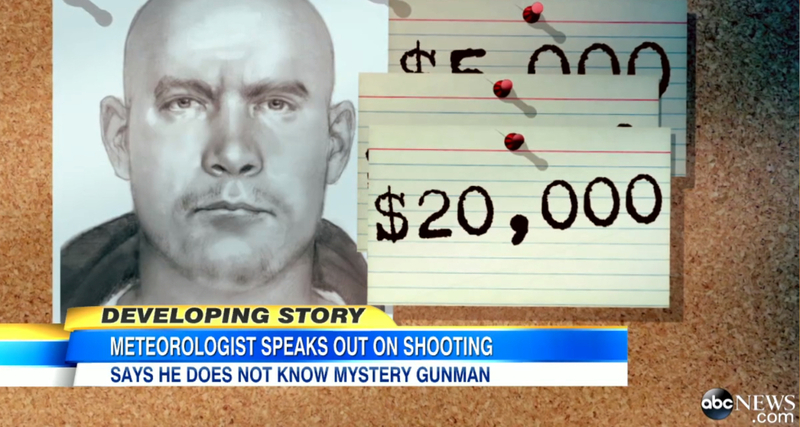 Crawford said he doesn’t know the shooter but was able to describe him to police. A sketch of the shooter was released and the reward money is now at $20,000 for anyone with information. Things could have been much worse for Crawford who is recovering well enough that he held a press conference at the hospital. 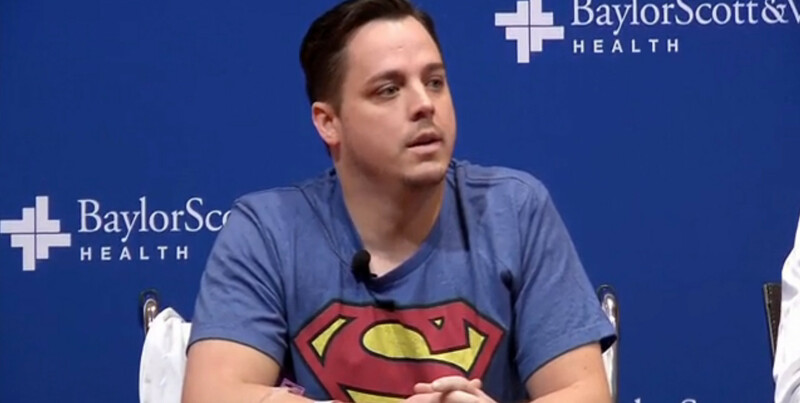 What I immediately noticed was that Crawford was wearing as Superman shirt when he was wheeled up to the microphone. I’m not alone in noticing that symbolism first before he spoke a word since it has been mentioned in every single news article that I clicked on this morning. 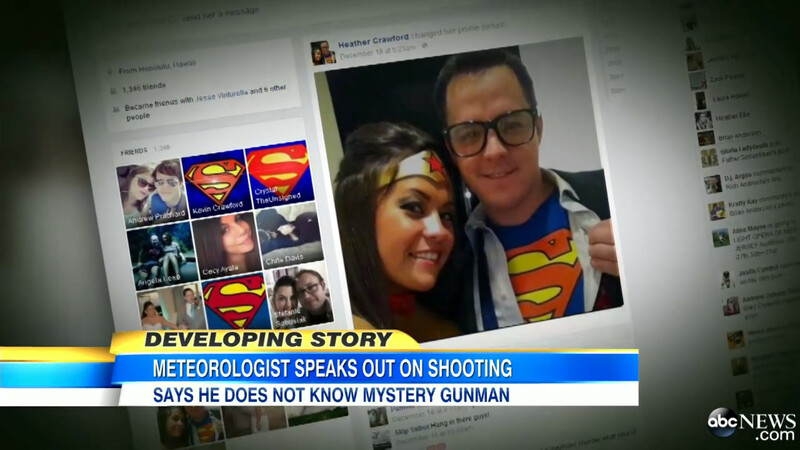 On today’s Good Morning, America coverage, they showed some candid pictures that look like they came from Facebook of Crawford and his wife (also a meteorologist) Heather Brinkmann dressed at Clark Kent and Wonder Woman. The reporter said that Superman is Crawford’s favorite superhero so many of his fans have changed their Facebook avatars to be pictures of DC Comics’ first hero. Brinkmann and other KCEN employees also uploaded Superman’s ‘S’ emblem to their Facebook pages in a sign of support for Crawford. KCEN shared the image with the hashtag ‘#oursuperman’ to its own page. So, if you’re interested in tweeting some well wishes for the weather team at KCEN, their Twitter is @KCENNews and use the hashtag #oursuperman. 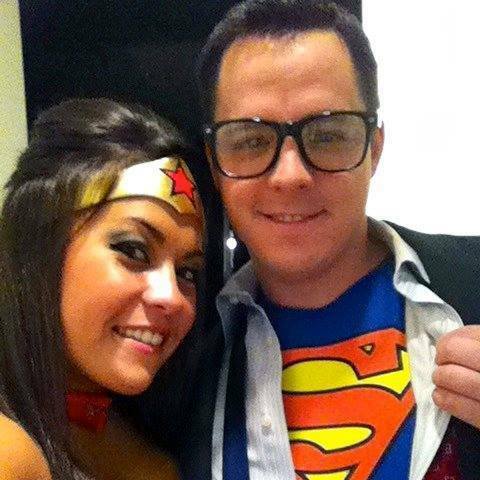 I bet they’d love to see how Superman is a hero to many people and if he could, he’d be there in person.